To truly secure your enterprise, you need to ensure that only trusted employees, partners and consumers can seamlessly access the right applications using trusted devices. 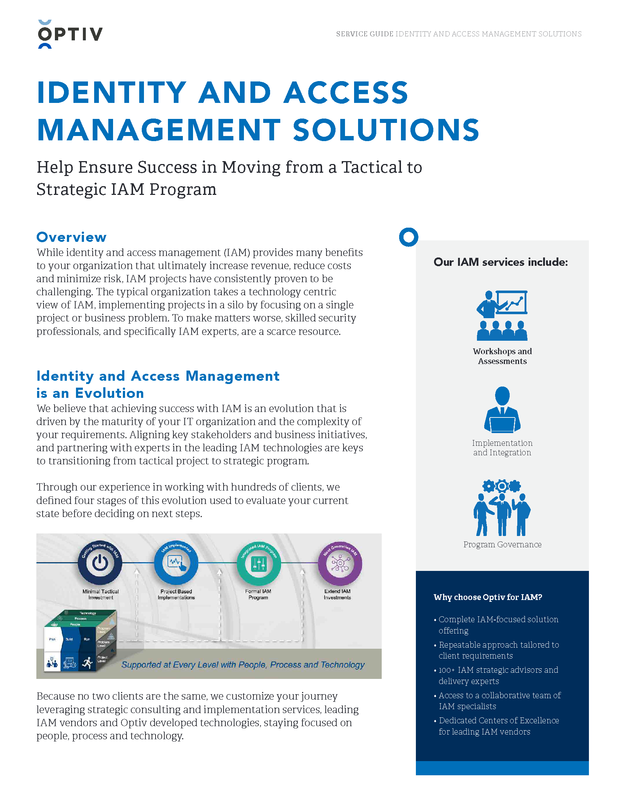 Leading organizations take their identity and access management (IAM) programs even further, transforming requirements, projects, and programs into a lifestyle. At Optiv, we help you leverage your IAM effort into ways to greatly improve business operations and end user experiences.